The title of most profitable movie ever belongs to Paranormal Activity. In 2007, first-time director Oren Pelli spent merely $15,000 dollars to film a horror movie, featuring Katie Featherston and Micah Sloat as themselves. Two years later, the movie was acquired Paramount Pictures, and went on to gross nearly $200 million. Oren Pelli has gone on to become an established horror movie director, producing the three Paranormal Activity sequels, Insidious (which narrowly missed this list), and Chernobyl Diaries. The movie’s story proves that you don’t have to have millions of dollars or the backing of powerful Hollywood actors and directors to make a great horror movie. 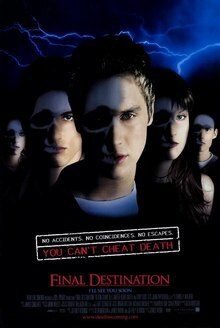 One of the most original horror movies ever, Final Destination’s basic plot is that a high school senior has a detailed vision of a plane crash when boarding a plane. Along with several friends, he gets off the plane, which later crashes. However, the group slowly dies one by one, in the order they died in his vision. Death is getting revenge on the group, for cheating death. The movie, released in 2000, was so successful, that three sequels and a prequel all followed. Final Destination 6 and 7 are supposed to be made back-to-back, with release dates not yet released. In 1984, the world was introduced to a new villain – the terrifying Freddy Krueger, who would kill innocent teenagers in their dreams, which would also cause their death in real life. A Nightmare on Elm Street received high praise, and was such a hit that 7 sequels would follows, as well as a 2010 remake. Freddy Krueger became one of the most famous and recognizable horror movie villains of all time. Writer and director Wes Craven is still known as one of the greatest horror movie directors of all time, largely due to the series. Also, the movie introduced the world to a certain young actor making his film debut – Johnny Depp. A great horror movie doesn’t need gore. All it needs is suspense and lots of good scares. This year’s greatest horror movie, The Woman in Black, proved that yet again. Daniel Radcliffe starred as a lawyer who is set to an old mansion on an uninhabited island, in order to collect paperwork to sell the house. The Woman in Black terrorizes residents in a nearby town. Anyone who sees her will have their child die in what seems like a suicide. She slowly stalks and terrorizes the lawyer as he becomes trapped on the island, with no where to go, and no help. 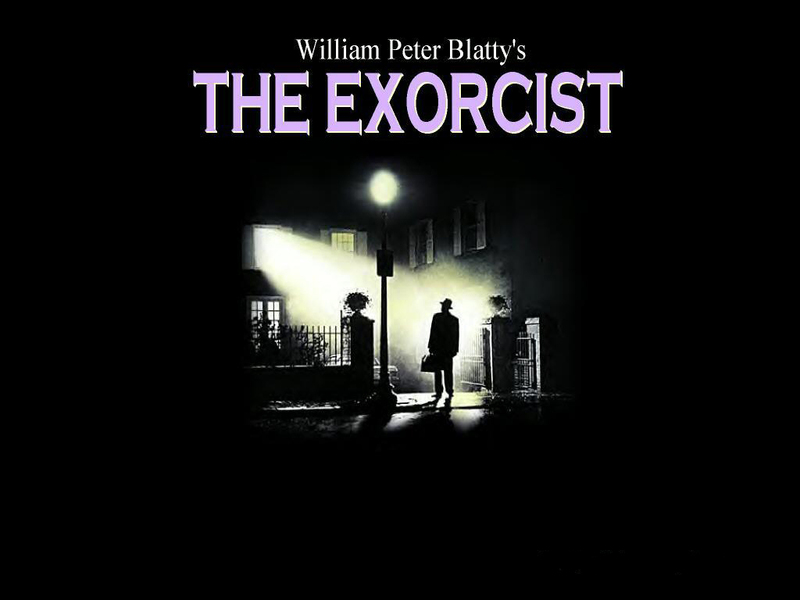 The Exorcist was released in 1973, and become one of the highest-grossing movies of all time. It terrified audiences across the world, and to this day, numerous sources still rank it as the scariest movie of all time. Linda Blair played Regan, a 12 year-old girl, who becomes possessed by a demon. The movie is infamous for its disturbing scenes like Regan turning her head completely around. After he parents realize what is happening to their daughter, they request help from the church, in the form of an exorcism. The movie was the first horror film to be nominated for Best Picture, and also resulted in two sequels and two prequels. The Grudge is an American remake of the 2002 Japanese film Ju-on: The Grudge, and was released two years later. Starring Sarah Michelle Gellar and Jason Behr, the movie has a series of intersecting plots. The premise is that a curse is created when a person dies in extreme anger or sorrow. The curse than settles in the location of the person’s death, and strikes those who enter that location, slowly hunting them down until they die. The movie performed extremely well in the box office, exceeding all expectations, and also received positive critical reviews. Two sequels would follows, with a fourth, a reboot of the series, currently in the works. There have been very few films in history that have created an entire genre. Jaws is one of those. Before the 1975 blockbuster, which was the highest grossing film ever in its day, shark movies just didn’t exist. Directed by Steven Spielberg, and based on the novel by Peter Benchley, Jaws tells the story a large great white terrorizing Amity Island, in New England. The movie terrorized viewers such that sharks, particularly great whites, were hunted by gung-ho fishermen. Benchley admitted he never would have written the novel if he’d known sharks would be threatened by it. The movie even affected beach attendance in 1975, which suffered a sharp decline. The most underrated horror movie of all time is 2008’s The Strangers. The move features some of the scariest villains of all time – three killers with simple yet terrifying masks. There is a doll-face mask, a mask made out of sack, and a pin-up girl mask. They slowly stalk a couple (played by Liv Tyler and Scott Speedman) staying at a remote vacation home. The entire movie consists of building suspense, and the fact that it is so realistic only makes it even more terrifying. The movie received mixed reviews from out-of-touch critics, but was successful enough in the box office to warrant a sequel being approved. In 1999, the psychological horror film The Blair Witch Project helped create the found-footage genre. The movie claims it is based on three filmmakers who disappeared. The footage from their camera was discovered, and what we see is truly horrifying. The three friends venture into the woods of Burkittsville, Maryland, where they encounter an ancient witch. The movie is pure suspense, as you don’t even see the witch until the very end. Costing only half a million, (a tiny cost for a film), and was the most profitable film of all time, until being beaten by Paranormal Activity in 2009. A sequel followed, but like most sequels, it was a flop. Despite being 34 years old, Halloween has yet to be topped as the best horror movie of all time. Michael Myers, with his iconic mask, has become one of the most beloved movie villains of all time. The movie also made a star out of Jamie Lee Curtis, who was making her film debut at the time. Halloween helped to popularize the slasher genre, created by Psycho in 1960. However, unlike many of the slasher films that would follows, John Carpenter’s Halloween contained relatively little graphic gore or violence. 9 movies would follow in what would become one of the most profitable horror movie franchises of all time, including 7 sequels and 2 remakes.